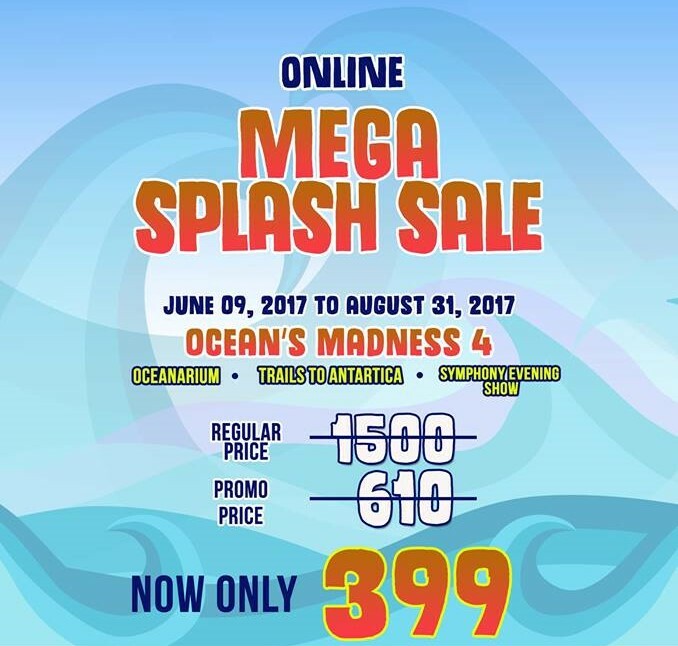 Check out Manila Ocean Park's Online Mega Splash Voucher SALE happening until August 31, 2017. 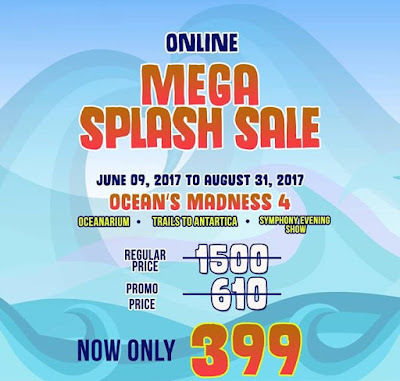 Get Online Voucher tickets for P399 only! 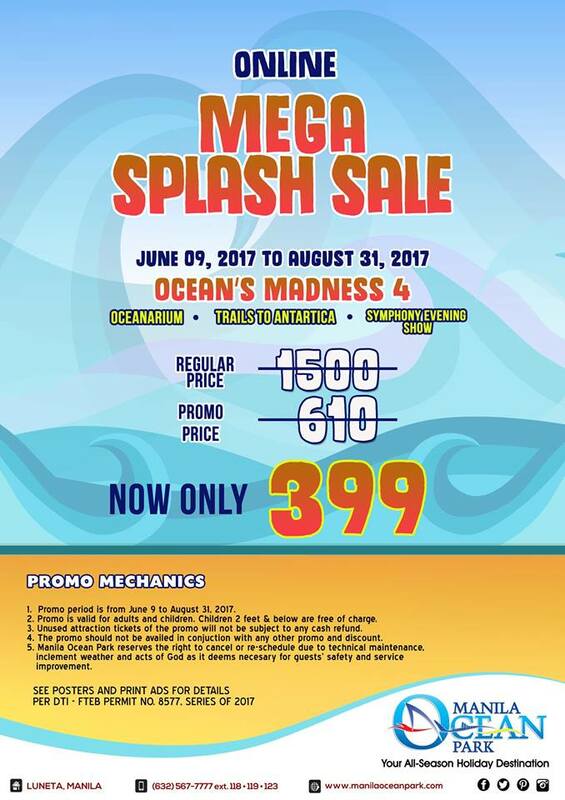 => Voucher is valid only at Oceanarium, Trails to Antarctica (Penguin Exhibit & Christmas Village), & Symphony Evening Show. 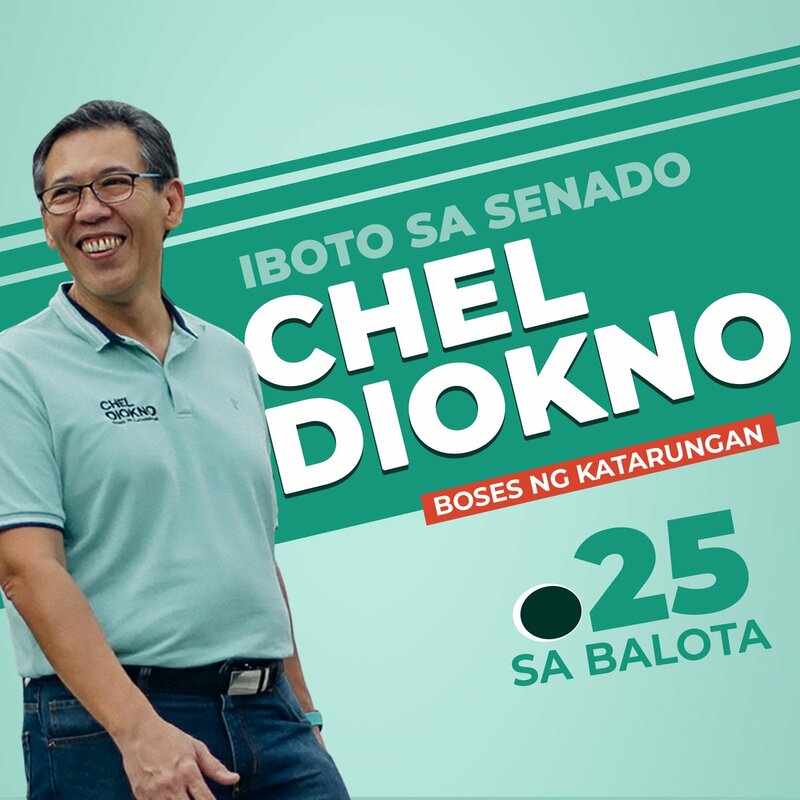 For Buyer: Present Actual Credit Card or Photocopy of Credit Card (front and back), Photocopy of ID, and Printed Voucher. => The Redemption Booth is open daily from 10:00 am to 5:00 pm. It is located at the park entrance. => You can buy as many vouchers as you want. => Partial redemption is allowed for transactions greater than 1. Please see guest attendant at the redemption booth. 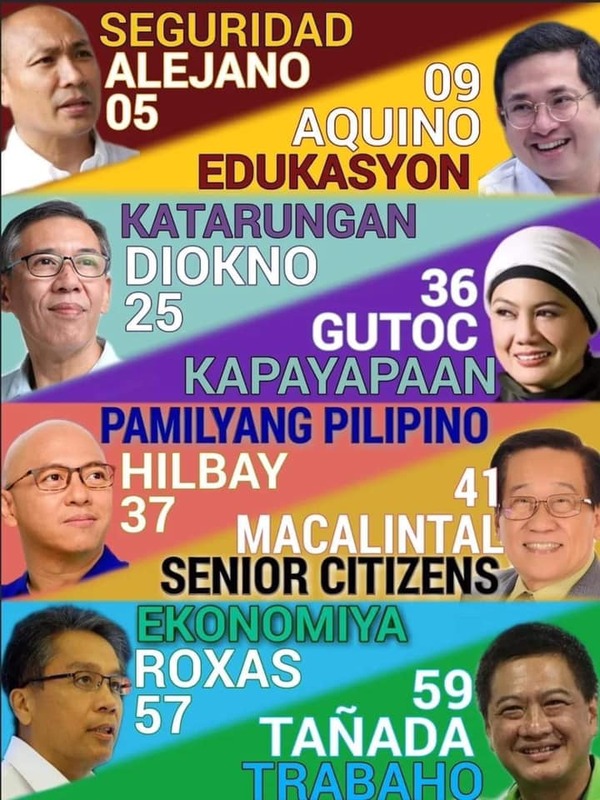 => Ticket is valid only on the date of redemption and on a SINGLE-ENTRY only. => No reservation or advance booking is required.